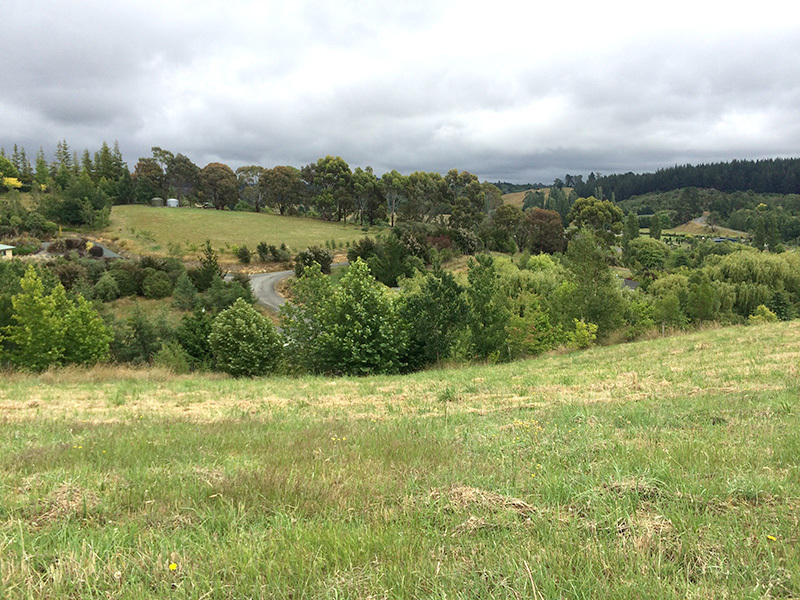 In 2014 the Unity Trust was offered a small, sloping field adjacent to Silkwood Park, a rural, residential estate near Mapua in Nelson, New Zealand. The field is to be gifted to the Trust for the creation of a GeoWalk, a meditation walk based on sacred geometry. It is 5,643 square metres or 1.39 acres. It is in a very peaceful and beautiful location, and the Unity Trust intends to further beautify the land with judicious planting. 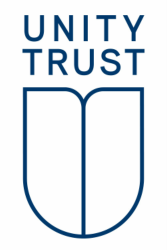 The Unity Trust would like to acknowledge with gratitude, the generous support of Jane Nicol, whose gift of this beautiful piece of land makes the materialization of the Unified Field vision possible. 1. The first is to create a permanent GeoWalk by planting the boundaries of the chosen geometric shape and creating the path along which the meditation will be walked. 2. The second is to plant fruit trees to further beautify the field and make it a conscious creation of fruitful endeavour and fully organic co-operation with the devas. 3. The third is to build a walk as an integral part of the landscape, which leads from the bottom of the field up to the GeoWalk itself. On this walk we hope to introduce various sculptures signifying unity. We intend to anchor onto the field through the continuing use of the GeoWalk, the vibrations of unity, love, light and goodwill and create a place of peace and contemplation from which to send these vibrations out into humanity and all the kingdoms on Earth. This vision will require careful planning and foresight. 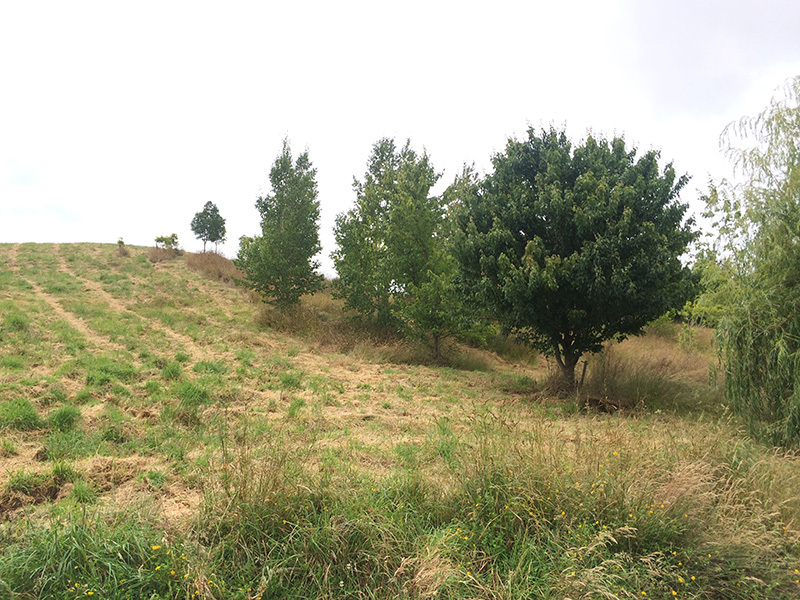 The initial stages will require landscaping, as the only suitable flat area for a GeoWalk is at the very top. This area is almost flat, but a little small, and so we may need to have some further levelling work done. This would probably constitute one of the larger pieces of work required. When the GeoWalk is planted, we hope to hold regular GeoWalks open to anyone who would like to participate in the meditation work. The Unified Field Project is a group endeavour in order to help materialize Aquarian purpose on the Earth plane. We are hoping that the project will have an educative role in that it is a demonstration of the power of group intent, and of the desire to work together in harmony with the devic realm for the benefit of all beings. We are hoping to inspire sponsorship for this powerful project. We would be honoured if you would consider sponsoring a fruit tree or trees of your choice, or helping to commission a sculpture which reflects unity, peace, goodwill, light and love. Your donation is tax deductible, since the Unity Trust is a registered charitable trust. If you choose, your donation can also be acknowledged with your permission on the website. The name of the field is a 'light' 'heart'-ed play on the Unified Field Theory (see brief definition below). Science may well be drawing closer to proving that essentially, at a quantum as well as a macrocosmic level, everything is one; a cosmic synthesis of energy and particles in constant motion, constant transition - the cosmic dance. This has been understood by the Ageless Wisdom for many thousands of years, but it will be the synthesis of spirituality and science which will bring forth the next great leap of consciousness for humanity in the Age of Aquarius. The language of science and physics is the new language of understanding, and much of the old veil of religious myth and legend will be stripped away to reveal the mysteries of nature and the cosmos through the eyes of reason. This reason will extend beyond the reason of the concrete and abstract minds to what is termed Pure Reason, or Buddhi - the universal love-wisdom aspect. This aspect of divinity is the unifying, cohering function of the universe. In physics, a unified field theory (UFT), occasionally referred to as a uniform field theory, is a type of field theory that allows all that is usually thought of as fundamental forces and elementary particles to be written in terms of a single field. There is no accepted unified field theory, and thus it remains an open line of research. The term was coined by Einstein, who attempted to unify the general theory of relativity with electromagnetism.